Who could pass this up? This entry was posted in hope, photos, shenanigans. Tagged hope, shenanigans. 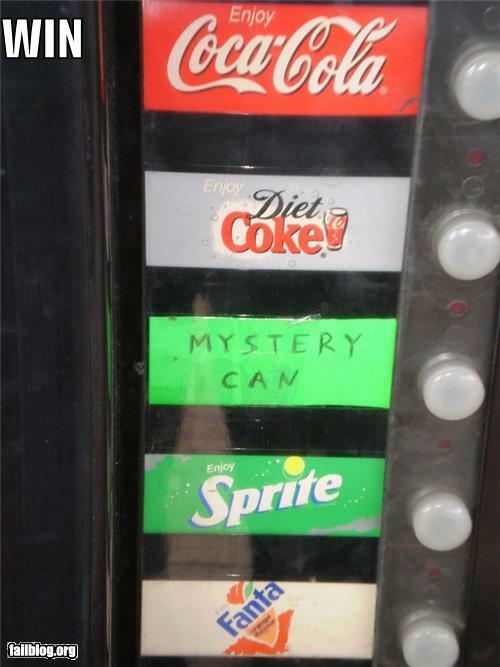 Is the mystery can just limited to sodas or is there potential for a genie to be inside it? If it’s just limited to sodas, I’ll just stick to my trusty Sprite, thank you.